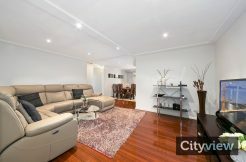 Cityview Real Estate has been established since 1999 in Hurstville. Cityview is the leader in Sale and Marketing of residential properties throughout the Sydney metropolitan area, particularly the St George area. Cityview has continued to grow over the past 17 years due to its sole focus of delivering their clients above market results through professionalism, integrity and the implementation of the latest technologies.